Castrol Motorcycle fluid protects down to -25ºC, protects against corrosion and ensures longer life span of internal cooling and heating components, ensuring improved engine life span. Technical Details: Ready to pour - 1 Litre = 1 Litre. castrol antifreeze / summer coolant. New and sealed. 10 available at time of listing. postage by royal mail to uk mainland or overseas by eBay shipping centres only please contact me if bidding from highlands or channel islands as postage costs are higher to these destinations and may carry a surcharge . Also available in multiples at a discount. contact me for a price. Part Manufacturer:CASTROL SPHEEROL EPLX 200-2 0,4KG. Bearing grease SPHEEROL lithium complex (0.4 Kg); -30 ° C 150 ° C; NLGI 2. The faster, safer way to send money. Part Manufacturer:CASTROL LMX 0,3KG. LMX bearing grease (0.3 Kg); up to 260 ° C; MAN 284 Li-H 2; MB 265.1; NLGI 2. The faster, safer way to send money. 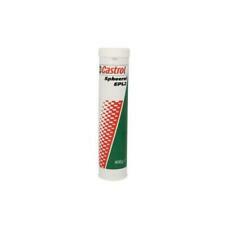 Part Manufacturer:CASTROL SPHEEROL EPL 2 0,4KG. grease for bearings (0.4 kg) NLGI - 2 bearing grease with EP additives with lithium thickener. The faster, safer way to send money. Castrol Motorcycle Coolant, 1L For all water cooled motorcycles. Motorcycle Coolant Ready-for-use coolant. Coolant colour green. Quality Products. Item Weight: 998 Grams. OEM Part Number: 56987. Manufacturer Part Number: 154D1C. Castrol Radicool SF is a long-life coolant based on monoethyleneglycol with advanced organic acid inhibitor technolgy. In contrast to traditional antifreeze coolants, Castrol Radicool SF does not contain amines, nitrites, phosphates, silicates or other inorganic inhibitors. Benefits of Castrol Radicool Antifreeze Concentrate. (°C) Castrol Radicool (%). Application: Coolant / Antifreeze. Application: Coolants / Antifreeze. Protection against freezing, depending on the concentration. 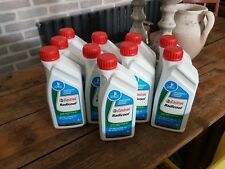 Part Manufacturer:CASTROL XXL LMX 25KG. Bearing grease LMX (25KG); up to 260 ° C; MAN 284 Li-H 2; MB 265.1; NLGI 2. The faster, safer way to send money. Part Manufacturer:CASTROL XXL CLS GREASE 50KG. 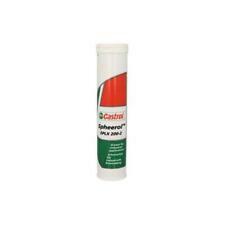 50kg grease semi-fluid for central lubrication system NLGI 00/000 MAN 283-00 MB264 Castrol. The faster, safer way to send money. WE ARE OPENED MON. NEW Genuine Hyundai Parts from Hyundai Main dealer. This item may be listed for your vehicle model but there are variations between models. Part Manufacturer:CASTROL XXL SPHEEROL EPL 2 50KG. Bearing grease SPHEEROL lithium complex (50KG); -30 / 150; ISO L-XBCEB 2; NLGI 2. The faster, safer way to send money. 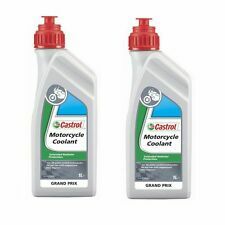 Motorcycle Coolant 1 Litre 154D1C Castrol. Part Number 154D1C. Castrol is widely acknowledged as the worldÂ’s leading specialist provider of lubricant solutions. Castrol Motorcycle Coolant is designed to provide anti-freeze performance down to -25deg.C. Part Manufacturer:CASTROL XXL SPHEEROL SX 2 18KG. grease for bearings (18kg) bearing grease for operation under high load conditions and high speed speeds up to 3000 / min. The faster, safer way to send money. Radicool 1l 15559F Castrol. Part Number 15559F. Title Radicool - 1 Litre. Castrol Radicool is a mixture of monoethylene glycol and selected chemical agents. It contains no nitrites, amines or phosphates. Motorcycle Coolant Ready-for-use coolant. 1x1L Bottle of Motorcycle Coolant. Castrol Motorcycle Coolant is designed to provide anti-freeze performance down to -25deg.C. This is part is manufactured by CASTROL. Part specifications. Provides protection against corrosion for longer engine life. Part Number: 154D1C. Castrol Motorcycle Coolant is designed to provide anti-freeze performance down to -25deg.C. Motorcycle Coolant - 1 Litre. Provides protection against corrosion for longer engine life. Castrol Radicool is a mixture of monoethylene glycol and selected chemical agents. It contains no nitrites, amines or phosphates. This is part is manufactured by CASTROL. Part specifications. Effective engine cooling without boiling.